For the spring semester of 2019, I’ll be one of the resident fellows at the Carl F. H. Henry Center for Theological Understanding at Trinity Evangelical Divinity School near Chicago. The Henry Center is undertaking a multi-year project about creation, and this year’s theme is “Reclaiming Theological Anthropology in an Age of Science.” I’m looking forward to spending this semester reading and writing on this topic, and am very grateful for the change of pace, the break from teaching and administrating, and all the academic resources and dialogue partners close at hand here. I’ll be posting some thoughts and notes from my work on the subject for the next several months. 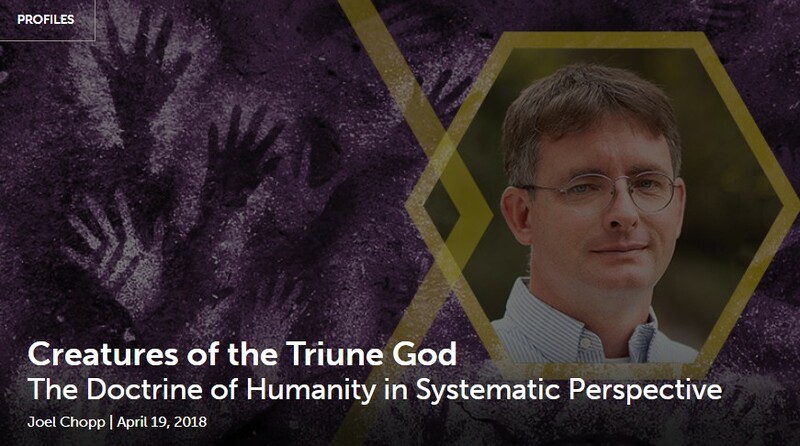 The doctrine of humanity is pretty far from my theological home base, which is that wonderful Trinity-soteriology nexus of doctrines that I will never get tired of. Since the doctrine of humanity is new turf to me, I’ll be taking notes, doing surveys, trying things out, and getting my bearings; whenever it’s safe and salutary for me to do so in public, I’ll share some of my work here. You can read about my theological anthropology project in this interview I did with Joel Chopp last year. The interview puts special emphasis on the contribution I hope to make to this shared enterprise precisely as a systematic theologian, which is a different, well, creature than a biblical scholar or a philosopher. Here are some excerpts from the proposal I wrote to explain, in general and formal terms, what I’m working on. I’ll share details about the resulting publications and deliverables later. My project is an examination of the Christian doctrine of humanity in systematic perspective, that is, an explication of the way theological anthropology is shaped by other doctrines that occur before or after it in the expositional logic of a theological system. My goals are to consolidate the doctrine in its proper dogmatic setting, to clarify the criteria that can be used in deciding whether any particular theological anthropology should be judged doctrinally adequate, and to cultivate a conceptual environment in which new opportunities for engagement with modern scientific anthropologies will be more instructive for all participants. Which is to say, if there are twelve major doctrines, I’m surveying the other eleven for the benefit of the twelfth. Systematic, see? I want to carry out the investigation at a high level of conceptual abstraction –something like a view from 30,000 feet up– so that it can survey the full range of Christian doctrines. Evangelical theology has traditionally been strong at arguing directly from the leading Biblical concepts and texts, but weaker at arguing from the systematic interconnections in which the doctrine of humanity is situated. This has proven to be disorienting at times because of the particular way Scripture delivers its doctrine of humanity. Direct statements about anthropology are relatively sparse in Scripture. Far more often, Scripture’s authors operate with presuppositions which emerge by allusion and juxtaposition, as they speak indirectly about the nature of humanity in the course of speaking directly about other things. By examining a number of systematic interconnections, I hope to generate a set of normative rules for future use. I think the analytic tools of systematic theology can equip evangelicals with a kind of transcendental deduction of theological anthropology which can be used in fruitful combination with the more straightforward data of biblical revelation. 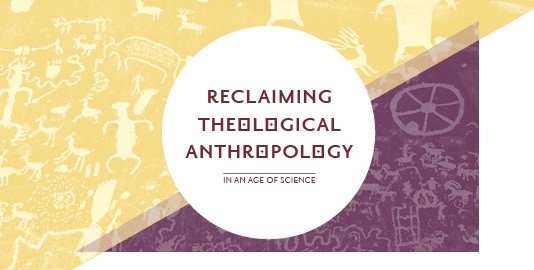 My investigation is designed not to be radically or entirely novel, but to contribute a higher level of methodological self-awareness to evangelical theologizing about anthropology. I think the need for such an approach is urgent. Whatever the strengths of direct appeal to key passages of Scripture, truly biblical thinking requires more holistic methods of apprehending the Scriptural witness. The categories of systematic theology, responsibly used, are valuable for extending the scope and range of biblical reasoning. The expansion of biblical reasoning to include systematic considerations is a valuable development for evangelical theology at large, for several reasons: it is more adequate to the task of biblical interpretation proper, and it is more consonant with pre-modern modes of exposition. But a well-ordered account of the systematic requirements of theological anthropology should be particularly helpful for carrying out informed dialogue with the natural sciences. My proposed project is a kind of setting of the biblical-theological house in order as a preparation to entertain interdisciplinary guests. Stated at its most ambitious, it is an attempt to rethink the theology side of the theology-science dialogue. The doctrine of humanity occurs fairly early in the logic of a theological system. It introduces one of the players in the drama of salvation, because the human character needs to be established before soteriology can be unfolded. Similarly, the integrity of humanity’s created goodness needs to be described before its deflection into fallenness can be explored. However, the substance of what is said about humanity in biblical teaching is necessarily borrowed from what we might call later developments in the system. For example, human nature’s integrity is mostly inferred from its sinful state; the architecture is mainly read retroactively off of its ruins. For another example, what is said of the human creature’s destiny or purpose is fairly thin until its redemptive perfection is envisaged. These facts are well known, though theologians often divert attention from them for didactic purposes, in hopes of presenting the doctrine of humanity as straightforwardly as possible. What I want to exploit is the advantages that come from the necessary dependence of theological anthropology on its doctrinal environment. By exploring and drawing attention to every movement of prevenience, prolepsis, and pre-emption in theological anthropology, I hope to install the doctrine more securely in its proper place. Ooooh, prevenience, prolepsis, and pre-emption. That’s where the action is, or will be, or will have been seen to have been, or won’t be because the action was moved up to an earlier spot before it started. It’s time travel, but in your own head. So that’s what I’m up to for a while.